After I posted this recipe last week, I had quite a few people asking about the coconut sugar that I mentioned. So I thought I would do a little post on what exactly it is and how it is much better for you than regular white sugar or any of that crappy artificial stuff. It is a natural sugar that comes from the coconut palm tree. Coconut sugar is nothing new. It has been used as a traditional sweetener for generations in South East Asian countries. It is considered a low-carb sugar (awesome right?!) because it has a lower glycemic (less impact on blood sugar) than regular white sugar. This is a great substitute for people with diabetes. Since I am a type 1 diabetic I was so excited when I discovered this. It also measures out exactly the same as sugar does, so if a recipe calls for one cup of sugar, you would use one cup of coconut sugar. You can find it at your local health food stores as well as Asian grocery stores. You can also buy it online here. If you are looking for a healthier alternative to cane sugar I highly recommend you give coconut sugar a try! this is great to know...when I am not pregnant I have a seriously addiction to "fake" sugar ... I gave up my dear friend sweet n low early this summer and don't want to go back...this looks like a great choice...! Have you ever tried it in ice tea? wow...i've never heard of coconut sugar...interesting read.I like this post!!! I have never heard of coconut sugar before! Thanks for the information! i think I've never heard about this before!! I'll def be on the lookout and try your cute cinnamon twists sometime soon! Very interesting. I'll have to try it next time I'm baking! I hadn't hear of it either, but will definitely look for it next trip to Whole Foods. Love your new blog profile pic!! Never tried coconut sugar but it sounds like a great alternative! Thanks for the info! I had never heard of it before your blog post the other day. Next time I go to Whole Foods I'll be picking some up. Especially, with holiday baking coming up! oh yes! thanks for posting about this. i really don't know how this could be anymore perfect. and being hypoglycemic this is a great alternative! I like the "crappy artifical stuff" comment. You couldn't pay me to put any of that fake sweetener in my mouth. Thanks for the tip. I'm going to try this ~ my fiance is hypoglycemic and we're always looking for sugar substitutes. PS ~ I love your new profile pic! I've heard such good things about it. And you're just another source who has pointed me in the coconut sugar direction. Great information! You always share the best things! So excited to but some! I have been searching for more healthy/natural sweeteners and this is the first I've seen of Coconut sugar. Def will be giving it a try! I've used coconut flour, coconut oil, coconut water, but never even knew about coconut sugar. Thanks for the heads up! i was in need of a better sugar for me to use (pre-diabetic). i'm glad i found you and your lovely blog! thank you!!! 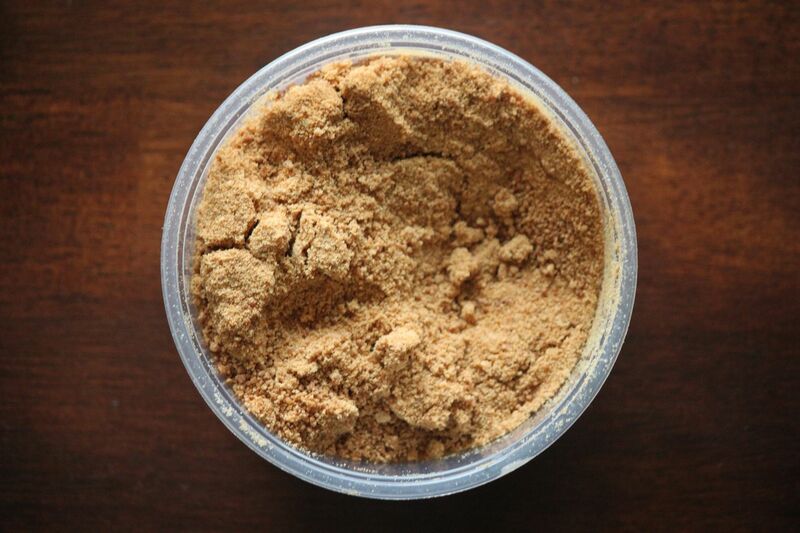 i have never heard of coconut sugar lindsay thanks for introducing me to something new! p.s your new profile pic at the top is simply stunning. Your husband is one very lucky guy! I must check this out! My favorite was Sun Crystals... which they STOPPED MAKING! Ugh! Thanks for the tip! I have been using a lot of coconut products, and I tried to bake with coconut sugar, let me tell you it did NOT come out. Cookies were not at all sweet, I was sad :-( , but I will try again. I am a Malaysian. We use a lot of coconut in our diet. Coconut oil in our cooking, coconut sugar, (Palm Sugar, we call) in our desserts, cakes and even drinks (hot or cold)in place of cane sugar. Usually, with hot coffee or iced tea. When buying palm sugar, buy pure palm sugar....more expensive though. Come to Malaysia!! !, Malacca, where you can find pure aromatic " GULA MELAKA'..literally means Malacca sugar. I was instructed by a nutritionist to give up processed white sugar. (With type-2 diabetes in my family, it's probably best.) I use Nu-Stevia for my beverages and some dishes that don't require a lot of sweetener. However, at $8 for 100 packets, it's not feasible for baking. I'm glad you explained what coconut sugar is and how to use it. Thank you!